Can a Passenger Be Liable for Causing a Car Accident? Many people assume that the driver of a vehicle that caused the wreck is automatically at fault, and in most cases that is true. But if a passenger distracted the driver or interfered with the driver’s ability to operate the vehicle safely, the passenger can be liable. Depending on the facts of the situation, both the driver and passenger may be responsible for injuries. Does Talking With Passengers Distract Drivers? Yes. Having a conversation, especially one that is emotionally charged, can turn a driver’s attention away from the task of driving. Arguing with a driver can take her focus off driving, which can lead to an accident. Although we know the dangers of driving while using a cell phone, the National Highway Traffic Safety Administration (NHTSA) reports that while 11.5 percent of distracted drivers were talking, dialing, or texting just before a crash, more than 56 percent were talking with passengers. Can Other Passenger Activities Distract the Driver? Is a Passenger Liable for Interfering with the Driver and Causing an Accident? Yes. If a passenger is responsible for causing the accident – such as by obstructing the driver’s view or grabbing the steering wheel or otherwise interfering with the safe operation of the vehicle – the passenger could be legally liable for the accident and resulting damages. 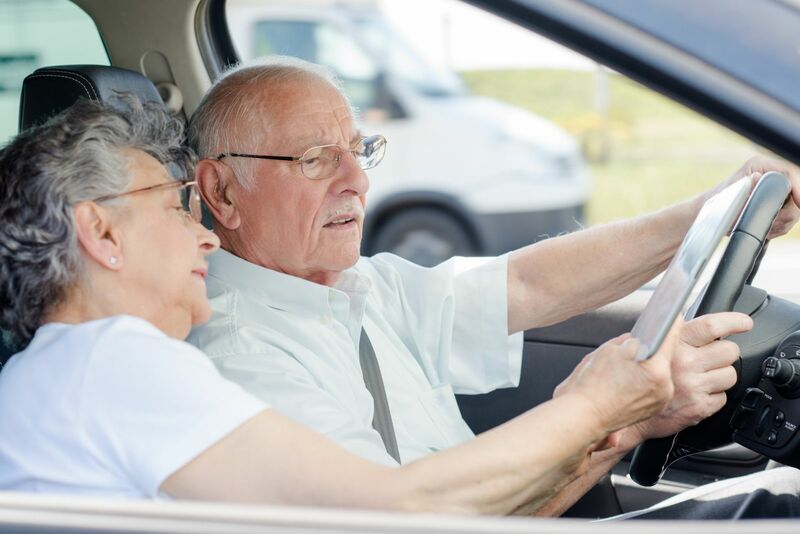 Is the Driver Liable If a Passenger Causes an Accident? A driver has a responsibility to maintain focus on safely operating the vehicle. Drivers must ignore, to the extent possible, anything that could interfere with safe and attentive driving. In the cases in which the passengers grabbed the steering wheel, the driver should have pulled over when the passengers got out of control if the drivers could have done so safely and in time to prevent a crash. If the driver could have disregarded the actions of the passenger or otherwise avoided the wreck, both the driver and passenger can be legally liable. In other situations, however, it may not be possible to ignore the passenger’s actions or avoid a wreck. As liability in these cases can be complex, please contact Max Meyers Law at 425-399-7000 to set up a consultation to review your case. What Happens if Both the Driver and Passenger are At-Fault in a Wreck? In such cases, third-parties may pursue legal action against both the driver and passenger. As for the passenger and driver, each may be able to file a claim for their damages under Washington’s comparative negligence laws. Under this rule, the law will reduce the amount of your compensation proportionally to account for your negligence. In other words, if the passenger was 20 percent at fault, her damages claim be worth 20 percent less than if she were not negligent. Whose Insurance Pays for a Wreck Caused by a Passenger? Third-party victims of an accident caused by a negligent or unruly passenger may be able to pursue a claim with the insurance of the driver of the vehicle in which the negligent passenger was traveling. The driver of the vehicle in which the negligent passenger was an occupant may have first-party coverage available on their insurance policy, or may be able to file a lawsuit against the negligent passenger. Set up a consultation with Max Meyers Law to review liability for the accident and whose insurance covers damages. Cases in which a passenger is responsible for causing the accident add a layer of complexity to car accident cases. We will evaluate your case to see if you can make a claim for your car accident injuries. Call us today at 425-399-7000 for a free case evaluation.